Alternative GenHist: Haplogroups of the Tribes of Israel: What Tribe do You belong to? Haplogroups of the Tribes of Israel: What Tribe do You belong to? The following haplogroups of the Tribes of Israel do not mean that they are the only haplogroups for that tribe but that the haplogroups mentioned do belong to that Tribe in the direct male line. The Tribes of Israel belong to the overarching haplogroup called NOP. All those with haplogroups descended from NOP are male lineal ydna descendants of Jacob the Patriarch of Israel. Jacob's male descendants by the full-sisters Rachel and Leah belong to R and Q. The Israelite clans descended from Jacob's six sons by Leah are all found mainly under the R1b haplotype (descended from P), the clans of the two sons of Joseph (a son of Jacob's wife Rachel) Ephraim and Manasseh belong to R1a, those of Q belong to the clans of the tribe of Benjamin. NO is the group belonging to Jacob's four sons Dan, Naphtali, Gad and Asher by his two concubines who according to tradition were half sisters of Rachel and Leah by their father Laban's Asiatic concubine. 1. Reuben: R1b U152 and may also be found among branches of R1b P312. The Hezroni of L2, the Karmi of Z56, the Pallui of Z193 and the Hanoki of ZZ45. 2. Simeon: R1b DF27 and may also be found among branches of R1b P312. 3. Levi: Levite clans are found among both R1b Ht-15 and R1b Ht-35 as well as R1b-V88. 4. Judah: Clans of Judah are to be found among R1b Ht-15 and R1b Ht-35 including R1b L21 (Davidic House of Nathan). 5. Dan: Clans of Dan are to be found among N, N* and P*. N1-L666, N2-Y6503 and N1-F2905. 6. Naphtali: the clans of Naphtali are of N1-Tat. 7. Gad: the clans of Gad belong to O1 now O1a (O-M119) and O3 now O2 (O-M122). 8. Asher: the clans of Asher belong to O2 now O1b (O-P31/M268) ydna. 9. Issachar: R1b DF19 and may also be found among branches of R1b P312. 10. Zebulon: R1b U106 and may also be found among branches of R1b P312. 11. Ephraim: R1a Z283 and other branches of R1 and R1a . 12. Benjamin: the clans of Benjamin are Q ydna and also found among R1b. 13. 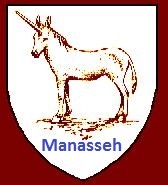 Manasseh: the clans of Manasseh are R1a Z93 and among other branches of R1 and R1a. Very interesting. I am R1b L21+ my line is traced back to 1836 when Abraham Kahano emigrated Poland to London, England and thence changed the name to the English version 'Cohen'. To have all ten lost tribes fall under umbrella group K ia too far stretching and skips too many steps. Under basic groups of R1 N or O we have groups of people who say that they are definitely NOT from Shem, from chinese to basque. What about arabs (not the converts but the royal houses), cohenite y-dna, british traditions, scandinavian traditions? I hold the position of that semitic haplogroup is IJ, as under this we can fill all the royal houses of arabs, cohenite lineages, european traditions, syrians, pashtuns, croatians, serbians (who hold the tradition of descent from Iran). I can see that your point of view is not something that can be easily changed but I ask you to face thenlogical conclusions instead of stretching the evidence to the point of absurd. That's for your comments. I don't know if you have only read this blog but if one followed my blogs you would know that I have taken all those points you mention into account in my writings and research. Semitic like Hamitic are languages groups not ydna groups. The lost tribes are lost- thus they would most likely not speak a semitic language anyway. IJK are the ydna descendants of Abraham according to my understanding and thus the Arab Royal Houses that claim descent from Mohammed and Ishmael belong to J haplogroup. The so-called J groups of cohenim have their origin in the Samaritans and there are many cohenim (people who have a traditional claim to cohen status) in the Jewish community that have a R1b ydna. I have been studying the lost tribes for most of my life and do not arrive at my conclusions lightly. However I have had to change some long standing beliefs due to the dna evidence. I am of course open to being proved wrong with further discoveries in the fields of dna and history. One of the biggest changes for me to get my head around is that the British are not Ephraim but that the R1a Slavs are from Ephraim. The ideas that some proposed that J was the ydna of the Arabs and Jews and that I ydna was thus the lost tribes was proposed based on the early and now rather dated understanding of research into the cohenim. In fact the I ydna is that of the exiled Assyrian Royal House that fled into Europe as the Sarmatians and the Vikings following the lost tribes of R.
In the end your idea may prove to be correct or mine or something totally different to what we think now. The best any of us can do is look at all the evidence we can and come up with what we believe is the most convincing to us. All of us come from diverse backgrounds and world views so we also bring that to the process. Those who view it through the prism of an atheistic evolutionary worldview will see certain evidences differently to those like myself who has a Biblical worldview. The dating of the haplogroups is different (and thus its connections with history and archaeology) if one uses an evolutionary based system rather than one that seeks to follow a germ-line approach. I am always open to read anyone's ideas as they may contain some valid and helpful insight even if I don't agree totally with their understanding. I was reared with a very British Imperialist worldview so it took me rather an adjustment to follow where I believe the evidence led and discover that the Chinese and Japanese and other Asians could be also male line descendants of Israel. I also think the place of environment on dna has to be taken into account as some studies are demonstrating. We are in such early days of dna research that we need to be open to new input while arguing our understandings as vigorously and the best we can without personal anomosity to those of other opinions and worldviews. @ 'catholic jew' LOL. First things first let us get some things straight before I digress from the subject, the descendants of the ancient Ibaryatham/Yasharahlam have always been and still are to this day the falsely called "African americans" and "negroes" scattered towards the four corners. Now I know that this will "ruffle your feathers" so to speak, and might even bring out a slight chuckle, but of course if someone were going to destroy the grandeur delusions that I had beaten into me so firmly from childhood, I would dare say I would do the same. Now, I take it that you have read the book of Deuteronomy correct? As stated in chapter 28 v. 68. "And YAH shall bring thee into Egypt again with ships, by the way whereof I spake unto thee, Thou shalt see it no more again: and there ye shall be sold unto your enemies for bondmen and bondwomen, and no man shall buy you." When and where have the "Jews" went into Mitsrayim again by way of ships? I'll give it a sec...... Get anything? No? Me neither. 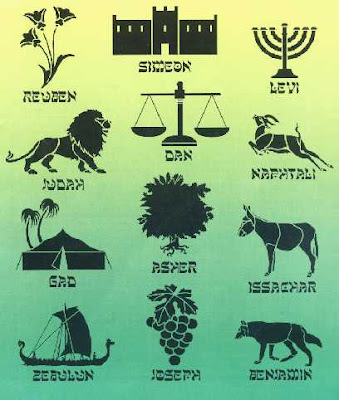 Your DNA haplotype that you've stated earlier does not place you in any of the twelve tribes. The Lemba tribe in africa possess the Cohen modal haplotype and their DNA predates yours. And trust and believe me when I say that contrary to popular belief it is neither j nor is it r, because those are both European haplotypes. Ashkenazi from Japheth would be your forefather. Also what I really find hilarious is that even when your own geneticists disprove your genealogy, you discredit it and mark him as one of the heathen! I do give you guys this though, with all of the backing that you have from the U.S. government and having them in your back pocket pretty much, of course you wouldn't believe it, well you as to referring to one of the "common folk". The treaty made in 1948 did not give you scriptural inheritance to the land and no matter how much you pretend to be an Ibaryatha/Yasharahlathim does not give you claim. The true Yehudim are awakening from the slumber and your judgment is drawing near. Dear Eliyahu, while I of course don't agree with most of what you write, it is also interesting to hear what others think and believe. Whether one is a direct male line descendant of Judah is not what makes one a Jew. A Jew is anyone of any haplogroup who is accepted by a Jewish or Israelite community as a Jew for the purposes of their group. Orthodox Jews consider anyone a Jew who is one through orthodox Jewish halakhic conversion to Judaism or of a Jewish mother. They do not consider converts to other forms of Judaism such as Reform Judaism as Jews nor those who have a Gentile mother and a Jewish father. Reform Judaism accepts one as Jewish if it is through their mother or father but they do not accept one as Jewish who has become a Christian even if they have two Jewish parents whereas the Orthodox Jewish community consider them a Jew no matter what religion they follow or don't follow. Does the Germanic and Slavic SNP's split from Z283? If so, are the Scandi/Isles/America L448 from Ephraim? Dear Joe, I believe that all of those with R1a Z283 are descendants of Ephraim. This includes much of the Slavic, Scandinavians and Germanic R1a as well as the Khazar Royal House. However I believe the Scandinavian Z284 was that part of Ephraim that went north into the Russian Steppes and is known as the Corded Ware /Battle Axe people after 600 BC. The Eran clan of Ephraim went east and south to Iran and then further south and eventually became the Parthians- they are the ancestors of the Slavs of Z280 and M458 that came into Europe in the early Christian centuries. The Germanic R1a of L664 is from the Tribe of Manasseh (western Manasseh) and went into Europe around 600 BC via the port of Dor in Israel fleeing the Assyrian invasions. R1a Z93 is the eastern branch of Manasseh that went into the East. Ok thank you very much for your reply and answers. Do you by any chance know who some of those Corded Ware/Battle Ax tribes were who ended up in Norway? Another question, this time about Ephraim. Ephraim is not mentioned as receiving the Seal of God. Is Ephraim left out or is Ephraim and Manasseh combined into one? What about the 144,000 representing the tribes of Israel? Dear Joe, the 12,000 from the tribe of Joseph are the Ephraimites. The only tribe left out is the Tribe of Dan (according to the Church fathers this is because the Antichrist while pretending to Davidic ancestry will be of the Tribe of Dan. Interestingly the Merovingian kings are believed to be descendants of Dan and Samson (a name found in the Merovingian Royal House and they saw their power was in their long hair) and some believe the Antichrist will be of the Merovingian blood line. Some occultists (and recyclked by Dan Brown in the Da Vinci code) claim the Merovingians are Davidic from Jesus and Mary Magadelene. Of course this is blasphemous to orthodox Christians. Go further into time Abraham descends are Y-DNA I descend from Y-DNA F the Noahic descend; Y-DNA I2a1-M26 genetics the Megalithic Builders just as they did in Egypt building the monuments in Egypt; Pithom and Ramesses. and from Eber'sland in southern Anatolia and northern Mesopotamia..